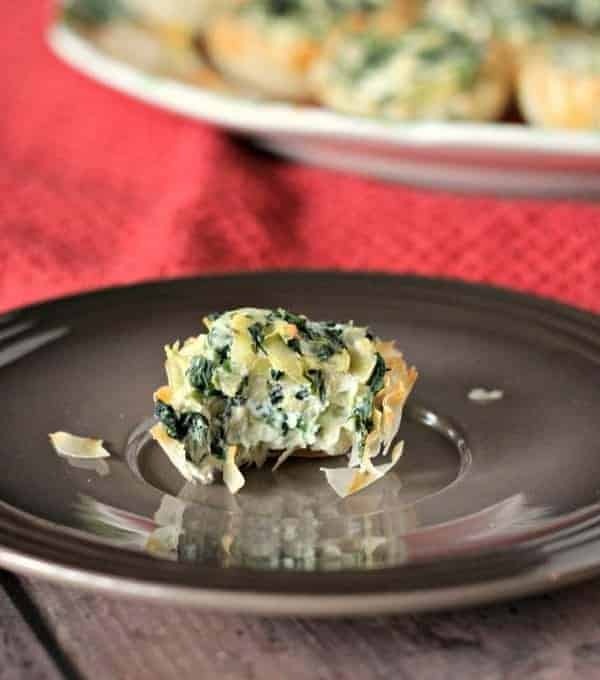 These spinach artichoke phyllo bites are a delicious and elegant party appetizer that you can prep a day or two in advance. This is a sponsored post written by me on behalf of Athens®. All opinions, photos, and text are my own. As always. Let’s be real. Entertaining can be stressful! Very stressful. Pretty outfit + cute apron + glass of something tasty to drink + great music = much more fun to prepare food for friends/family. Follow this simple equation and things are already off to a good start. Meals that have a flexible end time = bliss. Soups, slow cooker meals, things that can be served hot, cold AND room temp. These types of things will dramatically reduce your stress levels. Prepare as much in advance as possible. Dips and appetizers that can be prepared partially in advance and then finished up moments before the gathering are extremely helpful (like this recipe!). This recipe just so happens to fall into those last two bullet points perfectly. Throw on a pretty dress, turn on some Michael Bublé Christmas music and pour yourself a glass of champagne and you’re all set. These tasty spinach artichoke bites are great hot out of the oven but if they settle in to room temperature before they are devoured, they’ll still taste phenomenal. But I’ve tried these, and I’m pretty sure they won’t be given the chance to move into room temperature. They’ll be eaten up before they have a chance to drop even a degree in temperature! The other great thing about these bites is that you can prepare the filling in advance and keep in in your fridge for a day or two. Then, on the day of the party, all you have to do is spoon the filling into the shells and bake for 10 minutes. 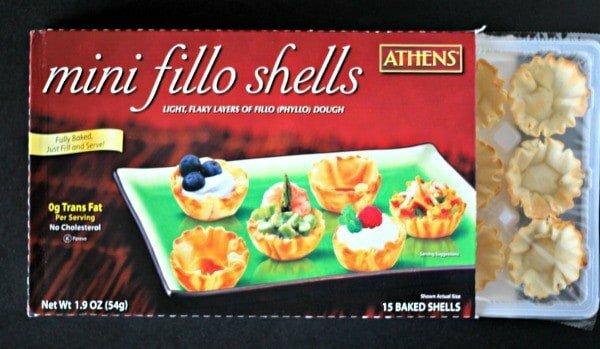 I love to keep a couple of packages of these Athens® Phyllo Shells in my freezer because they are incredibly versatile. You can put just about anything into these and you’re left with a cute little appetizer or dessert. I’ve put chocolate and pumpkin in them to create insanely easy desserts, but this recipe for spinach artichoke phyllo bites might be my favorite use yet. I love spinach artichoke ANYthing so these are obviously no exception. 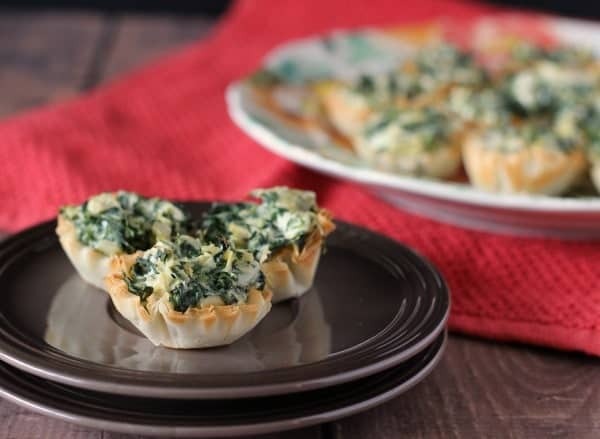 A delicious and elegant party appetizer that you can prep a day or two in advance, these Spinach Artichoke Phyllo Bites will be a hit at your next party. In a medium mixing bowl, mix cream cheese, parmesan cheese, sour cream, mozzarella, drained spinach, chopped artichokes and cayenne pepper. Use a fork to thoroughly mix all ingredients. Taste and add salt and pepper as necessary. At this step, you can refrigerate this mixture up to 3 days. When you are ready to serve, preheat oven to 350 degrees Fahrenheit. Fill a phyllo shell with a heaping teaspoon of this mixture so that it is full and rounded and on the top. Place on a rimmed baking sheet. Repeat until phyllo shells are all full and spinach mixture is used up. Bake for 10-12 minute or until heated through and golden brown. Serve immediately. Verdict: I could have eaten 100. Changes I would make: None are necessary, but I’m thinking the addition of some garlic would be wonderful. 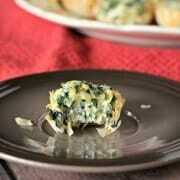 Looking for more inspiration like these spinach artichoke phyllo bites? Check out Phyllo.com or Athens’ Pinterest page for more great fillo recipes. Disclosure: This is a sponsored post written by me on behalf of Athens®. All opinions, photos, and text are my own. As always. Have you ever tried filling with a pre-made spinach artichoke dip, or is that just pure laziness. Lol. I love your recipe I’ve just never made homemade spinach artichoke dip before and am NERVOUS! Could these be baked and then freeze the leftovers. Then just reheat as you need them? I have not tried that – if you give it a go, let me know how it turns out! My concern would be that they’d be soggy after reheating. Yes you may – you’ll have to saute it first and squeeze as much liquid as possible out. Enjoy! Can you fill the phyllo cups and travel with them not baked and then bake once you are at the party before serving? 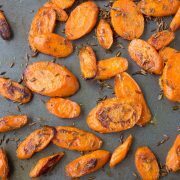 Want to make them for a party at someone’s house, but not sure best way to travel with them-30 minutes- and then serve them warm. Thanks! I think they should be okay for 30 minutes. Just make sure to drain the spinach really really well before mixing everything together – that will help prevent them from getting soggy. Thank you. Do they reheat well if I baked them and then traveled with them? I don’t think that would work as well. You could try! Maybe don’t bake them all the way, just part of the way. I can’t make any promises though, as I haven’t experimented with it. I was surfing for a chicken mini cup appetizer and accidentally came across this recipe. It sounds so yummy. My question is? Do you think I could add some cooked shredded chicken to this recipe? Perhaps replace the artichokes with the chicken. I think that would be delicious! I like the idea of replacing the artichokes with the chicken – the phyllo cups aren’t large so that will help with space issues. 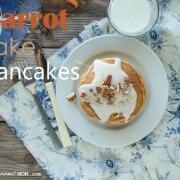 :) Let me know how they turn out! Can I skip the pretty outfit and cute apron :) These look like I should be making the! Fabulous way to serve our favorite dip! Love the little phyllo shells! Pinned! I love love phyllo shells, my go to for quick and easy appetizers during the holidays. 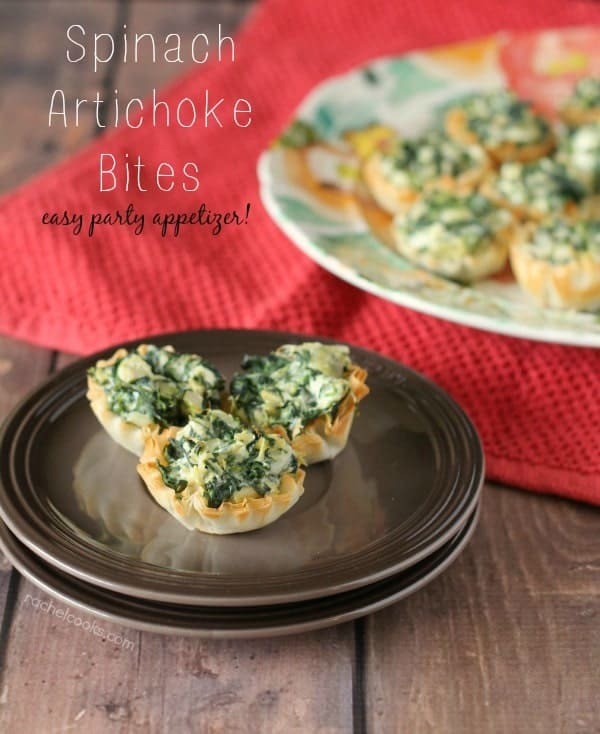 These Spinach Artichoke bites are right up my ally! Oooh! Now this I love. Easy, crisp and totally gooey. These would be perfect for holiday parties! I’ll take 100 too! They look great!! I love your tips. I’m learning to keep things super simple when having people over…love the flexible end time tip (chili, soup! Yes!). And a glass of wine & music is a must…I need to start wearing my apron! So, for some reason I have never made anything with phyllo dough! I must try it, and I so agree – cooking in the kitchen is far more fun with a cute apron, awesome music and a fun drink in your hand! Great tips Rachel! I’m 100% with you on the apron/wine combo being a key for entertaining. I love these little phyllo cups too–simple, beautiful, and the possibilities are endless. Love the tips for a dinner party – I follow all of them! Perfect holiday appies! Ya don’t have to twist my arm. Every year for New Year’s, we throw a fried food fest with our family. 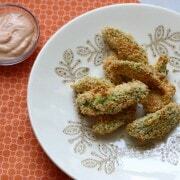 Lots of fried foods and appetizers so we can give up junk the next day, guilt-free and fulfilled. These are totally making the menu. They may not be fried but they are right up my alley and they look amazing!